Natural wooden materials are the best building materials. They have perfect qualities which are useful for health. 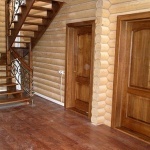 Our company uses only high quality materials for building of the modern wooden constructions for living and rest. Such wood grows in the Transkarpathian region. It is very comfortable and cozy to live in such houses. 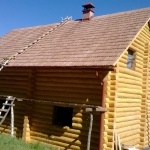 Karpaty-Dom has been building such wooden high-quality houses all over Ukraine for many years. We use only those trees which were cut down in winter that’s why wood has high density and contains less humidity. It affects the high quality of the building and its longevity. 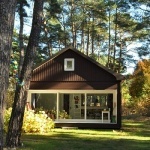 Nowadays the building of wooden houses has affordable price. It is a very profitable decision. You order not expensive habitation which positively influences on your health creating comfortable microclimate inside. The prices depend on the necessity to build a foundation, the amount of floors, and the planning in general. 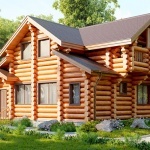 Also it depends on the choice of materials and the diameter of the log. The big amount of services is included into the price which can make our customers satisfied. 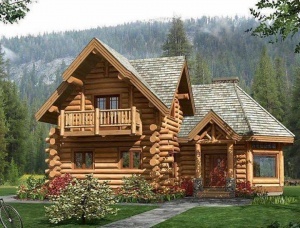 Only highly qualified and experienced workers can build a wooden house on the turn-key basis. They can professionally choose the project for the further building process, to make an estimate of costs and to perform the total control during the building process from the beginning till the end. 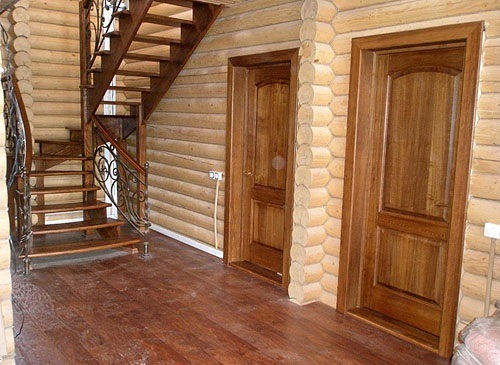 Having a deal with Karpaty-Dom you will know how comfortable and cozy is it to live in a wooden house!